Moving my email from Hotmail.com to Outlook.com has involved some preplanning and a few minor heartaches. Here is what I have done and experienced thus far. I hope this will be helpful to others that plan to do likewise in the future. After following the instructions in the link above, this is what I experienced. My XBOX points moved from one account to the other but moving the phone purchases was a bust. Only two apps have moved from the old account to the new. One was an old version of angry Birds which says it is no longer available for download and a tower defense game called SwampDefense. I had made a list of all apps on my phone prior to moving accounts so I know what I should have. After doing the Factory Reset as instructed in the link above, I found and installed the free apps that I had previously had on my phone. Many of my paid apps were originally downloaded at times when there was either a free introductory offer or they were on sale in the Store. Some posts I have read said that it can take up to three days for apps to be moved. I don’t think this is going to work, but I’m only halfway thru the three day time period. About three and a half days after the switch, another group of old apps appears on my purchase history. However, there is still a gap from August of 2012 to June of 2013.This of course is the period that I most want to reinstall. Also, note on old entries that while the apps are on the list, the word “Purchase” does not appear in the payment column. Secondly, when I log into Hotmail—my old phone account—I see all purchases for both the Outlook and Hotmail accounts. Also, the Hotmail log in shows Other Phones as an option on the account. This gives me some hope that the switch is still in progress. Upon further review however, I found the other device listed was my old HTC Trophy phone. 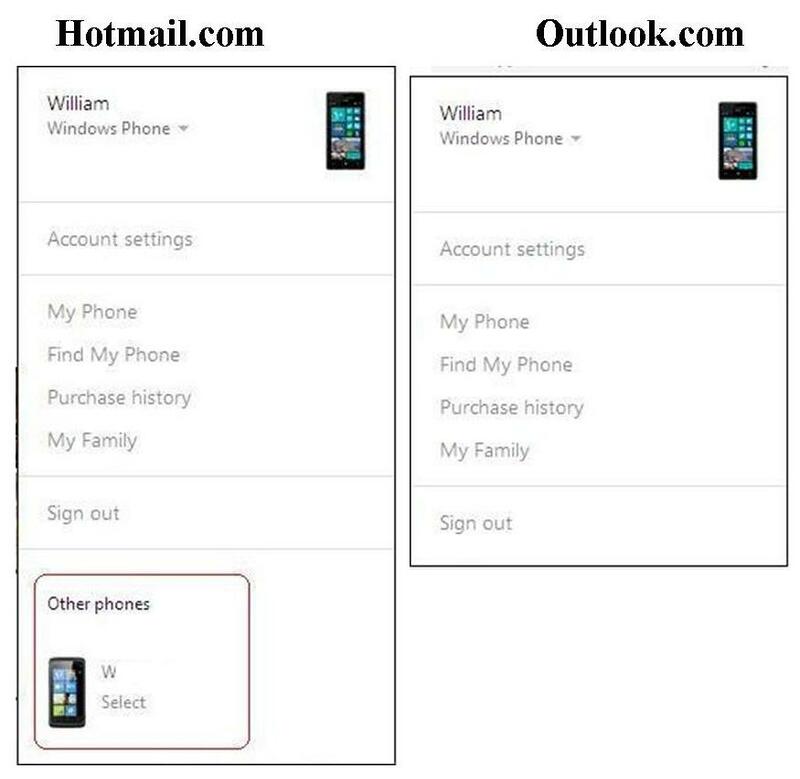 It was not removed from my Hotmail account when I bought the HTC 8X. Other posts that I read said that you will have the apps available but must go thru the motions to purchase the apps again and once you hit buy, the phone will say you have already purchased the app and can then download it without paying. This has not been my experience. I tried and ended-up buying an app that I had previously purchased. I will not say that this method never worked but it certainly does not any more…at least as advertised. Changing the login on the Windows 8 PC seemed easy enough. I changed from a Microsoft account to a local account. Once that process was completed, I then attached the computer login to the new Live account. The first change that I noticed was that my list of recent documents in Microsoft Office was reset and I had to setup my email accounts again. I don’t have any purchased apps in Windows 8 so I don’t know if they followed or not. If the few apps that I have installed still function and update then I think it is safe to assume that they are OK. I went thru my list of usernames and passwords and updated my email information. In some cases, I could update them using the PC and test the change by logging into the app on my phone. An example of this would be Amazon.com where your email address is part of your login to the site. The other issue I have with Hotmail is that there is no way to cancel the auto renewal of the account using any Microsoft website. You can either plan ahead by setting up the default credit card with one that will expire before the renewal date or outright cancel the account. There is no way to revert back to a free account without contacting MSFT. I am trying to use an email support feature buried deep in the bowels of the support website to see if they will cancel the automatic renewal but I have yet to hear from them. Surprisingly, within about an hour, I received a reply from Microsoft and with a few more emails was able to cancel the auto renewal of my Hotmail account. 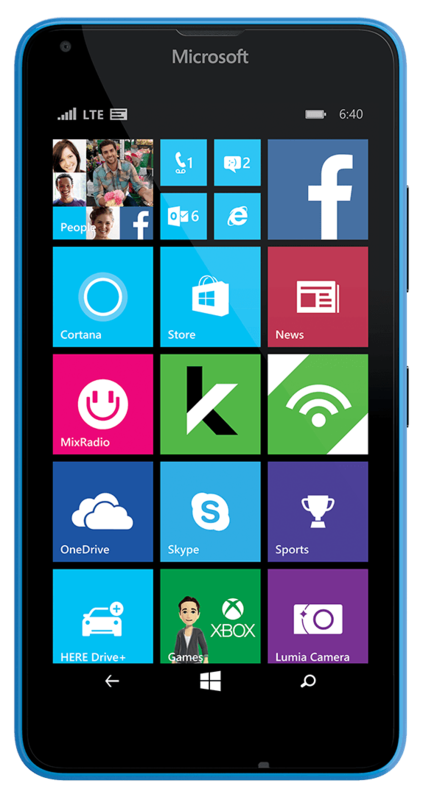 The other Windows Phone question that I had was related to phone updates to the BIOS and Operating System. What happens when you do a complete reset of the phone? Do updates need to be installed again—like I would after using a PC restore disk—or do the master restore files get updated as part of the updating process? Surprisingly, the updates appear to be permanently installed. I never needed to update the BIOS or Operating System following the reset. Manually running the Check for Updates feature for the phone OS, states that the phone is up to date. About twenty hours after I did the phone reset, I got a batch of updates that were phone specific for audio and other features. This update notification was via the Store. Transferring my TechNet subscription was the simplest part. I just clicked on a link for this purpose and followed the steps. This was the most painless part of the whole process. My only concern was that after I was done, I could log on with my new account but the box with my name in it still was showing my old email address. Changing the TechNet login however does not change the email address of any Microsoft newsletters to which you may have subscribed.